They’ve seen it all. From every bump in the road to every success. 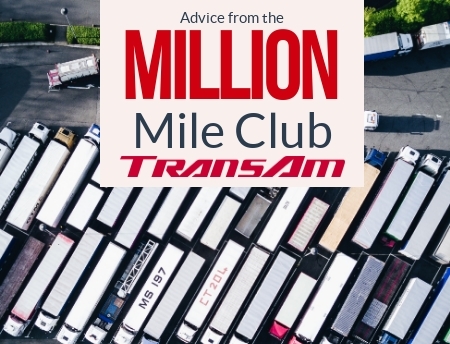 The members of TransAm Trucking’s Million Mile Club have the best stories, experiences and lessons to share. 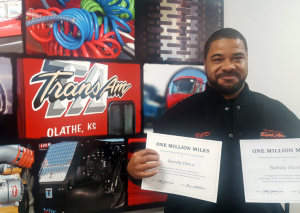 From taking a proactive approach, to encouraging future drivers to reach their goals,the advice from these Million Mile Club members might be the best guidance one will get this year. Below is an overview of our members and some takeaways from their travels. Mark Lain – Mark noted during his Million Mile Ceremony the importance of time management for his business. He mentioned that he plans ahead so he can ensure an on-time delivery – sometimes arriving at the receiver 48 hours before the delivery time. Randy Davis – Randy always has the mindset that Time=Miles. By taking minimal breaks and using his on-duty time efficiently, he is able to maximize the distance he travels. Time plays a huge role in his thought process and his business success every day. 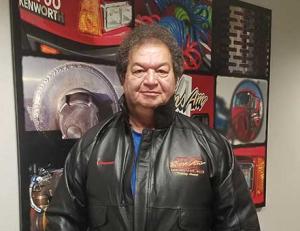 Leo Payne – Leo takes time to talk to new drivers about the trucking industry. He answers questions and gives valuable insight to new drivers and what they might expect to see while over the road. By sharing his experience with others, Leo is helping shape the future of the industry. 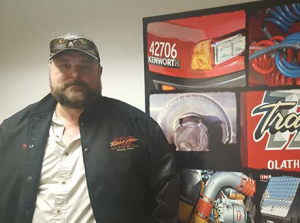 Bruce Bento – During his Jacket Ceremony, Bruce thanked the Driver Managers and Planners who help keep his business rolling down the road. He made a point to shake hands and individually thank the people with whom he regularly interacted. In the transportation industry, it is hard to do it all by yourself. 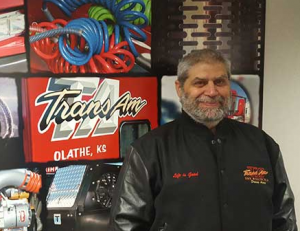 At TransAm Trucking, it would not be possible without the positive relationships between each department and the drivers. Having these strong relationships can help build a solid foundation for success. 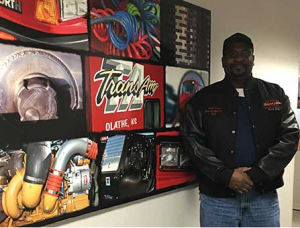 Elwin Hines – When asked, Mr. Hines will tell you he is a family man and TransAm is an extension of that family. This is why he takes safety so seriously. He wants to make sure everyone in the family (and outside of it) makes it home safely. Often times a truck driver has to make a decision on how best to safely approach a situation, whether it’s bad weather or bad traffic or otherwise. It can be a no-win situation and one every driver fears. This is why Mr. Hines is a big advocate for always having multiple plans of action when behind the wheel, in case something goes wrong. Obey the rules of the road and remember that people make mistakes, so be alert. A driver’s biggest concern is safe driving and Hines puts safety first every day to help make his business a success. There are a number of things that go into becoming a successful driver or having a successful business in the trucking industry. However, some significant points stand out when looking at the quality of all our Million Mile Club members: time management, a positive attitude, helping others, safety and working well with your team. Thank you to the members of the Million Mile Club for your dedication and your words of wisdom from behind the wheel.